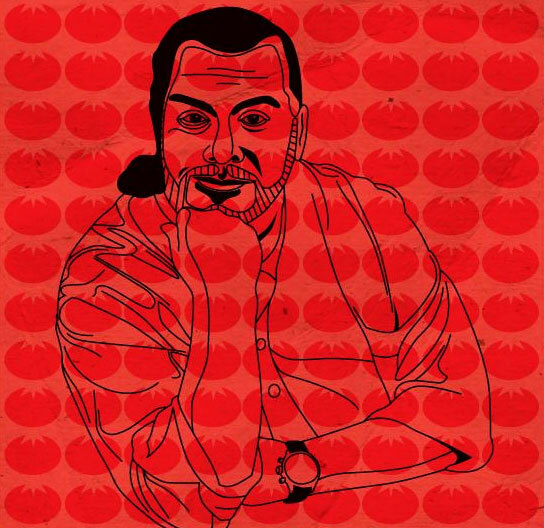 The beautifully illustrated recipes come from a roster of famous chefs -- including Mario Batali, John Besh, David Chang, Tom Colicchio, and Andrea Reusing -- contextualized amidst chef interviews and essays by acclaimed food writers like Melissa Clark and J. Dixon, pondering such complexities as the culinary connotations of The Beatles' White Album and what moussaka has to do with Metallica. 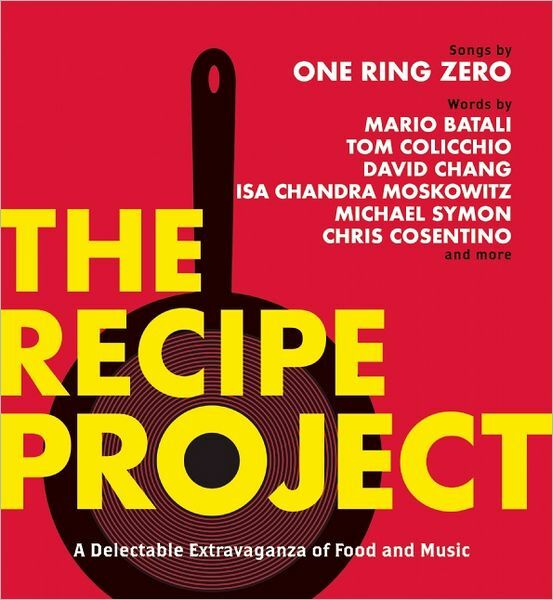 Masterminding the project is Brooklyn-based band One Ring Zero, who for the past couple of years have been working their favorite rock-star chefs to each choose the musical genre for his or her song, all included on the CD that comes with the book. 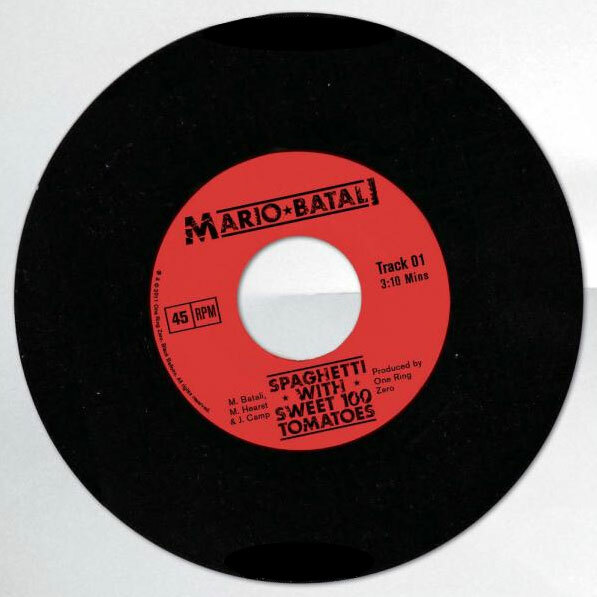 One Ring Zero's Michael Hearst got the kernel of this genre-bender in college, when he composed a choral piece around a recitation of grocery store names. 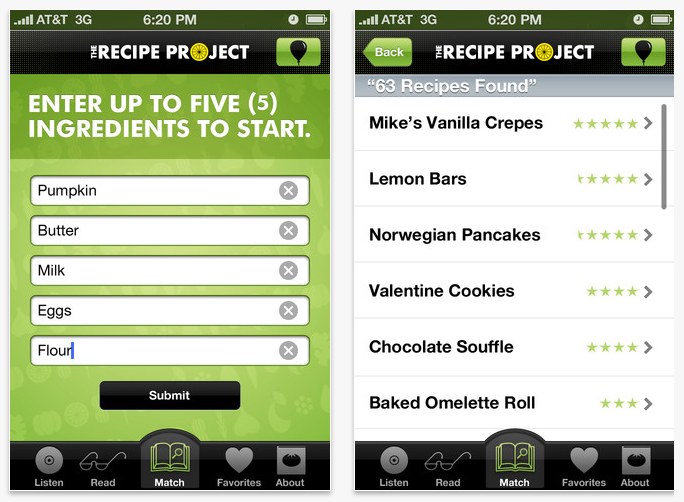 The book also comes with a delightful free iPhone app that lets you enter up to five ingredients you have on hand and dishes out a delicious, speedy singable recipe to make with them. Utterly charming and a formidable feat of multi-sensory deliciousness, The Recipe Project is the kind of whimsical cross-pollination of disciplines that speaks to the Brain Pickings ethos of indiscriminate creative curiosity.